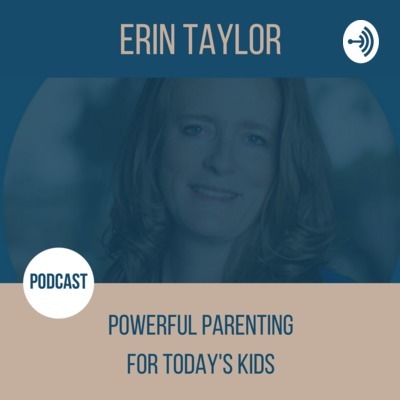 Welcome to Powerful Parenting for Today's Kids - a podcast to help stressed and overwhelmed parents end struggles with disrespect, tantrums, social media, anxiety, sensory issues, sports & more with their children! Erin is a Mom, Entrepreneur, Certified Parent Coach, Mindfulness Coach, Author, and Motivational Speaker. Please send your parenting questions to erin@erin-taylor.com. In this episode, Jay and I continue our discussion about why it's so hard to parent teens - from a dad's perspective. In this episode, we talk about the Boundary Dance and how it gets even trickier when our children become teens! Today, I went back in time and shared a very personal story from my childhood. In talking with my mother-in-law last week, I came to a profound realization about a situation from my childhood and I think it will be really helpful for you. Take a listen and see what nuggets you might get out of this for your parenting or even understanding your child a little bit better. Ep 266 What can we learn from Tiger Woods' comeback? I was inspired to talk about Tiger Woods' comeback after he won a Master's last weekend after 11 years. There are a lot of lessons here for us - join me! Ep 265 Fishing can be beneficial for reasons you might not have considered! My son recently went fishing for the first time since he was a young boy and he LOVED it. It was remarkable to hear him articulate why he loved it so much, and I wanted to share it with you here in the hopes that it inspires you in some way with your teen! Ep 264 Mindfulness on Monday (MOM) An update on Analytical Meditation! I tried Analytical Meditation this week and was AMAZED at the experience. In here, I share with you what it did for me in the hopes it inspires you to try it as well! In today's episode, I asked Jay for his perspective on why it's so hard to parent teens as a dad. His answer took us on an entirely unexpected adventure and it was so rich that we decided to record part 2 for next Friday! Join us here for part 1! In this episode, I talk about the value of teaching our young teens to advocate for themselves and illustrate it with a story from my family. Join me! In today's episode, I share a concept that I just recently learned about called The Illusion of Pressure and how it affects our teens and what we can do about it. Join me! Ep 260 Parenting teens is SO hard - and here's why! If you have a teen at home, do you ever feel lost, confused and stressed? It didn't used to be this hard, did it? Odds are, it wasn't! And it's getting harder, but why? Tune in to today's episode to find out! Today, I share a new form of meditation with you - one that helps you to directly solve problems. Intrigued? Join me to hear more! In this episode, we talk about the potential pitfalls and traps of being a coach of your child's team and what you have to be careful to avoid as their coach. Join us! This episode is in honor of my best friend who is a single mom. We were talking this weekend at our girls' weekend about the very real challenges of being a single parent. I hope you find some useful nuggets in here to help you in your parenting whether you are single or not! Ep 256 The unbelievable value and importance of sleep! Recently, I have been helping my son improve his sleep hygiene, and even though I am a believer in the importance of sleep, even I am shocked at how much it is helping him! Join me to find out more about why you should help your children AND yourself get a better night's sleep! In this episode, I share some of the journey my son has been on this year and how stressful it has been, even with us as parents trying not to pressure him! There is so much coming at him from the outside that it's almost too much. Here, I share how we are helping him to manage the onlsaught of junior year. If you've got a high schooler, you will likely find good value in this, and if you've got a younger child, it will help you for the future. Join me! Ep 254 Mindfulness on Monday (MOM) Self-care is of utmost importance for you! Nothing is more important than self-care for being the kind of parent you want to be and the kind your children need. Join me to find out more! This is a throwback to episode 4 of the podcast that Jay and I did for a while. In this, we talk about juggling schedules in a busy household. I'm thinking you can relate???? Join us to hear more! Ep 247 A special guest who will open your heart just a little bit more! In today's episode I have my very good friend, Heidi Dellaire joining me. Heidi's book Roots and Tendrils will be released tomorrow. In this chat, we talk about her book and how it came to be. Join me for a delightful conversation! And if you'd like to purchase a copy of her book, you can do so here! Ep 252 What is your biggest fear as a parent? In this episode, I talk all fear and how it negatively and subtly impacts our parenting. Join me! With the arrival of spring, I thought it was the perfect time to revisit the many benefits of nature, and how you can bring some more of it into your life. Join me! Today I wanted to share a program with you that I learned about a while ago that I'm very excited about. It's called Restorative Justice and is being used with great success in schools all across the country. Tune in to learn more about it and see if it might be a good fit for YOUR school! Today, I share with you a mindfulness study I am participating in and how powerful the effects have been so far. Maybe you'd even like to join me! Ep 248 Go for what you want in life! In today's episode, I update you on my daughter's attempt to make the track team at her middle school for the first time as an 8th grader. This experience taught her a very valuable lesson about life. Join me to find out about it! With the weather getting warmer here in the US, I thought today was a great day to talk about ticks and Lyme disease and what you can do to be on the lookout for possible signs and symptoms. As with everything I do, my goal is not to instill fear and panic in you as a parent, but rather to educate and inform you so that you are equipped to NOT be fearful of this treatable condition. Join me! My daughter was really nervous last night about her next track tryout tomorrow and whether she will make the team. Through our discussion, I was able to help her to recognize that regardless of whether she makes the team, she's already won because she had the courage to try something new without being assured of the outcome. I hope this helps any listeners out there who's child may be nervous about an upcoming tryout or event where the outcome is not guaranteed! Today, I wanted to share a bit of advice my dear mother-in-law gave me and how helpful it is to remember. Join me! In today's episode, Jay and I talk about the recent college cheating scandal that has involved many high-profile, wealthy and powerful individuals. We can learn a lot from looking at this story from many angles as well as take a word of caution from it all. Join us! Ep 242 How long after having a child does it take to get a good night's sleep again? Do you have young children? Do you feel like you are just running on fumes and that good sleep is nothing but a distant memory? A recent study might help explain why. Tune in to today's episode to learn more and find out what you can do to get a good night's sleep! Does your child ever feel nervous about something they are about to embark on? Or do you? In this episode, I share a story from my family where my daughter was feeling nervous and together we helped her to reframe it to something much less daunting. I hope this helps you too! In this episode, I share a story where my daughter made a choice she came to regret and how I supported her through it by NOT saying "I told you so." Moving through regret is a difficult but important life lesson. Join me if your child is struggling with regret. In this episode, I share some of my journey of decluttering and the amazing benefits I am experiencing from it! Also, here I invite you to join me in this adventure. Come along, won't you? I have found myself in many conversations with my coaching clients and other parents about symptoms that they are not recognizing as anxiety. I knew it was time to revisit this topic here on the show. In this episode, I talk about what anxiety might look like in your child and how to identify it, as well as some techniques to begin learn to manage it. Join me! Today's episode was inspired by a concerning conversation I had with a teacher recently about catching her 8th grade students cheating. It's not the cheating that startles me the most - it's the REASON they cheated. Tune in and listen. Together, we need to change some things. Ep 234 Mindfulness on Monday (MOM) Oprah and Deepak's latest 21 Day Meditation Experience! In this episode, I talk about Oprah and Deepak's 21 Meditation Experience and invite you to join me! It's been a month since Jay and I finished the Whole30, so we decided it was time to update you on where we are and where we are headed. Join us! Do you ever struggle to figure out how to connect, or stay connected, to your child? I have that pretty well figured out with two of my children, but the youngest one, well, he was a different story. Until last weekend. Join me to find out what we did! When our kids are growing, and squabbling, it can feel like there is no end in sight and no good can come of it but that's not true. Our siblings are the training ground for us to learn how to compromise with others. Join me as I share something that happened last week in my home and how I got to see the fruits of my parental labor. Ep 230 Is it possible to stay neutral when siblings argue? Do you ever feel frustrated when your kids fight with each other? Do you always find yourself embroiled in the middle of it with no one left feeling satisfied at the end? Join me in this episode as I talk about this very thing, and also learn a great way to change this dysfunctional dance in your home! In this episode, I talk about a walking meditation and invite you to do one! Ep 228 Conveying your parental knowledge without saying "I told you so"
In this episode, Jay and I share an injury that our daughter sustained this week and how we helped her through it, as well as what we and she learned along the way. Join us! Money can be a complicated thing and as parents, it is imperative that we teach our children about it. But first, we must try to develop a healthy relationship with it. Having a healthy relationship with money is a vital life skill that we need to impart to our children to help them to launch into adulthood. I hope this inspires you to start talking about this big topic if you have not yet already! I recorded today's episode the morning I published it. It is Wednesday, and two of my three kids have yet to go to school this week. So far, we've had a holiday, a sick day and now a snow day. If I didn't learn how to surrender years ago, my head might be exploding today! I share my journey in the hopes that it helps you, too! Does your young child ever have BIG emotions that leave you puzzled and a bit shocked at the magnitude of it all? In this episode, I share a listener question that I got in the hopes that it helps you, too! Do you need a few minutes just to quiet your racing mind? If so, you came to the right place! Join me as I take you through the Platform Technique to accomplish just that! How do we do all that we do? It takes a village to raise a child and we couldn't do it without Jay's wonderful mom! She is always there to help us with our kids and their schedules. It also takes a good deal of "calendar syncing" to make sure we are doing what we want to do and making sure everyone gets where they need to be. One of the most fundamental beliefs we share is that we each chose to spend our lives with the other one of us. Who are we to tell the other person how they should be spending their time? If the activity makes the other person happy and can fit in with our lifestyle, why not? And then, with all that we have going on, how do we not become ships passing in the night? In episode #3 of Maximizing Life in the Middle (throwback) we talk about a stand that our daughter and her classmates took to be allowed to wear tank tops to school when the weather gets warm. The initial reason years ago for banning tank tops in her school was so that boys would not be "distracted" by seeing girls' shoulders. At what point does it stop being the girl's responsibility to not be a distraction and instead become a boy's responsibility to not be distracted by the girl? We also talk about how each individual is responsible for their own behavior and should not blame their choices on another person. We cannot control what happens in the world; we can only control our own response. Join us! Do you ever find yourself amazed at what you learn from your child? In today's episode, Jay shares something that one of children taught him and how that reinforced his desire to stay open to learning from them whenever possible. Join us as we dive in! Do you struggle with social media use with your children? In this episode, I share a story about my younger son and his social media use, my feelings about it and how we moved forward even though he was not happy with me. It is vital that as parents we monitor their social media use, not only to keep them safe, but also to help them develop sound judgment. Join me! In today's episode, I share a story about how I am teaching my daughter many lessons through a project we are working on. She is learning about the value of money, mindfulness about possessions, and entrepreneurship. Join me! In today's episode, I share a story that happened with my son in order to illustrate how we can take almost any situation and turn it into gold for us as parents and for our children. It is vital that as parents we protect their fragile and developing sense of self. Join me! Ep 217 Mindfulness on Monday (MOM) I have a confession! In this episode, I make a confession. None of us are perfect, and I certainly don't claim to be. So join me as I confess my recent shortfall and vow to do better moving forward. In this mashup episode, we talk about how things might have fit in one phase of our lives but no longer fit or how we would love them to fit but they don’t quite yet. The phrase “have it all” should be changed to “have all that you want” because if you try to have it all, your life will be over-stuffed and stressful and much of “it” is not even something that fits your life anyway. At the end of this episode, we offer our listeners a useful activity they can do to take a good look at their lives. Ep 215 A mashup from Maximizing Life in the Middle! My husband Jay and I have a podcast called Maximizing Life in the Middle. We have decided to merge the two together into Powerful Parenting for Today's Kids. I am going to be sharing our MLIM episodes with you here. Here is episode 1 that we recorded over year ago. I hope you enjoy! Ep 214 Intro to my new, special regular guest! In today's episode, I share a project my daughter's teacher has her class do each year. It is incredibly powerful, and gives to the students a gift so priceless to their lives. Join me to find out what it is and then please share with your own students or other teachers you know! Too often, I hear parents bashing social media and technology as the enemy to parenting. But when you look at things like that, it prevents you from seeing how you can use it to your advantage. Join me as I share with you how I use text messaging to my advantage in parenting my kids. Ep 211 How does it feel to eat clean for a Whole30 days? Now that I've come to the end of my Whole30 adventure, I wanted to update you on how it went, what my results were and how I feel now. After listening to this episode, I dare you not to jump on board and try Whole30 for yourself! In today's episode, I share a story of a mom I'm coaching and how a simple meditation I recorded just for her is helping to unlock her hidden potential. Tune in to hear more! I have a very special guest with me today. Matt Beaudreau, who runs Acton Academy Placer, a fantastic outside-the-box school the nurtures their students' strengths and brings out the best in them. In this interview, Matt shares wisdom for how parents and traditional-school teachers can bring out the best in our children. You are NOT going to want to miss this! If you'd like to connect with Matt, you can find him at https://www.mattbeaudreau.com/ and if you would like to learn more about his school you can do so here - https://www.actonplacer.com/. Ep 208 Parents - give yourself a pat on the back! I have not done an episode like this for a while, so I knew it was time. As parents, we tend to be so hard on ourselves and can get overly focused on the times we mess up while not giving ourselves credit for our successes and triumphs. If this describes you, PLEASE tune in to today's episode. It may be JUST what you needed to hear today! Ep 207 Navigating the Birthday Party Invite List! I was recently interview by Linda Grasso of the SheSez podcast over at https://itunes.apple.com/us/podcast/shesez-with-linda-grasso/id1281371313?mt=2. We talked about some listener questions and I wanted to share one of them with you here. How do you handle it when your child only wants to invite a few friends to his party but the teacher expects all children in the class to be invited? Listen as I share my answer! Ep 206 The pressure of the "College Process"
Today, I am sharing a very real challenge we are having in our home with helping our son to navigate the beginnings of the college search process. This is the beginning of two years of focusing on this until he transitions to whatever college he ends up attending. There is a lot of stress involved in this long-term process, and I am sharing it all with you here today in the hopes that it helps or inspires any of you listening. I connect up with my good friend and colleague, Louise Clarke, to talk about the chaos that is at times motherhood, as well as how to tame it. Join us! And if you'd like to join us for The Chaos Cure, you can do so at www.thechaoscure.net. Ep 200 The joy of Tidying Up! I've done my version of binge-watching Marie Kondo's new Netflix series called Tidying Up. For a person who rarely watches tv, this means I watched six episodes this weekend! It is SO good and I wanted to share with you my thoughts on why you should watch this show and head her advice! Join us for The Chaos Cure for moms, an online course to help you keep your cool and juggle it all well. Registration is ONLY open until Jan. 29. You can sign up here - https://revolutionizinglife.teachable.com/p/the-chaos-cure/. Ep 195 Did you know that YOUR behavior is an iceberg too? I meet SO MANY people who see the world through a negative lens. That isn't going to get you anywhere, believe me. What's going to get you where you want to go is to shift your mindset to an optimistic, positive one. Join me as I talk about this topic in depth! Ep 193 Should you have the password to your 15-year-old's iPhone? In this episode, I answer a parent's question about whether she should have her 15-year-old's password to their iPhone. Join me as I share my answer and my reasons. In this episode, I talk again about friends and why they are so special and so valuable in our lives. Join me! Ep 191 Update on my Whole30 plan - do you want to join me? Ep 190 Can you declutter AND make money at the same time? In this episode, I share something I've been doing for several months now with great success! I share it with you here because it addresses two areas - clutter and money - both of which, when they are in good shape in your life, allow you to be the parent you want to be! In this episode, I share a brief meditation to get your mind into the most effective space to welcome the New Year and all it has to offer you. Join me, won't you? Lately, I have heard of many losses people have suffered of their loved ones, and I have read some things on how to help grieving loved ones. Here, I share my best advice for how you can show up for someone you love who is grieving. Join me! Ep 187 What is your "Word" for 2019? In this episode, I talk about the power of having a word or words to focus on each year. This really helps to keep your goals and desires in the front of your mind all year long. Tune in to find out more! In this episode, I talk about the benefit of sharing a mindfulness approach to life with your kids, helping them to reflect on the past year and looking forward to the new one. Beware though - I also share some traps that you could find yourself in. Tune in to find out more! In this episode, I encourage you to take the reflection you did over the past 7 episodes and use that to look towards 2019. What do you want 2019 to look like for yourself and your family? In part 7 of my 7 part series, I take you back through a series of questions to consider your relationship in 2018 to Stress. Join me! In part 6 of my 7 part series, I take you back through a series of questions to consider your relationship in 2018 to decluttering. Join me! In part 5 of my 7 part series, I take you back through a series of questions to consider your relationship in 2018 to connection, with your kids, your partner (if you have one) and most importantly, yourself. Join me! In part 4 of my 7 part series, I take you back through a series of questions to consider your relationship in 2018 to nutrition. Join me! In part 3 of my 7 part series, I take you back over 2018 to look at your relationship with moving your body. Join me! In part 2 of my 7 part series, I take you through some reflection and questions surrounding your relationship with sleep. Join me! Each year at this time, I like to take stock in the past year and see what I'm pleased with and what needs a little more attention in the coming year. Over these next 7 episodes, I am going to take you through a few areas of life to see where you stand. In this episode, I ask you some questions to consider your relationship with money over this past year. Join me! I was recently talking to two moms who expressed frustration that their children do not open up to them. What we discovered is that fear was driving them to question their kids, which never gets us closer to our goals as parents. In this episode, I share a success story from my own home about a time when I listened to my mother's intuition and how greatly it benefitted my daughter. I hope it inspires you and gives you some hope! In this episode, I talk about why it is so vitally important to listen to your intuition, especially as a parent. You know your child best, and they need you as an advocate. In this episode, I remind you to find some time for peace and calm during this Most Wonderful (and BUSY!) time of year. Join me! Ep 173 We need a screen time detox! In this episode, I share a realization I had regarding my son and his screen time after a particularly busy time of work for me. Here, I share what my plan is to address this issue and in a future episode, I will update you on how it went! In this episode, I share how I helped my son and daughter to reduce their sibling squabbles. I hope this helps you with your children! In this episode, I share a conversation I had with a mom recently who is very fearful about something her son is going through. When we talked further, it turns out she experienced the same problem when she was his age. I hear about this connection with parents all the time and in this episode, I share how you can break that connection to free your children. I had a great chat with a dad last week who is a leadership coach for big companies. He shared with me a very powerful leadership principal he uses with his children, and I wanted to share it with you here! In this episode, I share a powerful but incredibly simple meditation that I learned from Dr. Sukhi Muker. Listen in and see if you want to practice it! Here, I share a story of how I connected deeply with my son over rap music of all things. Listen in and see if this episode gives you any ideas or insights with your children! Ep 167 What is the "holiday season" all about, anyway? In this episode, I share my thoughts on what we should really be focusing on during this most "wonderful time of the year" as well as how to get there! Here is the link to the article that I mentioned in this episode - https://www.filmsforaction.org/articles/pathological-consumption-has-become-so-normalised-that-we-scarcely-notice-it/?fbclid=IwAR22QI97VHTnABhRBBb3RSpc3mS1QElCD2qC9E3bJFnODFL0znJ0lAb5lyY. In this episode, I share a story about when I recently owed my daughter an apology for a mistake I made, and I talk about why we should be willing to apologize to our children when we mess up. In this episode, I talk about how to keep struggles and challenges in perspective. We must honor the struggle for what it can possibly teach us. Tune in to hear more! Ep 163 The Chaos Cure Announcement! In this episode, I share some detailed information about my first online parenting course that my colleague and I are building. This week it was ready to go to our beta testers and will be ready to begin officially on Jan. 28, 2019! Check back here for the link to join us! In this episode, I share some thoughts on the frustration and resentment I have heard from many parents of teens lately. Raising teens does NOT have to be that hard, and in this episode, I share some ideas for how you can better navigate it in your home! Ep 161 Co-parenting through divorce. Is it possible? In this episode, I share how my long holiday weekend went and I'm curious how your's went. We are knee-deep in the holiday madness now. Is there a way we can reduce the madness and chaos? You bet there is! Join me to find out more! I answer another listener question about yelling at her kids and the stress she feels. Here, I share what we MUST do to end the cycle. Join me! In this episode, I share a struggle a parent had and how allowing natural consequences could help her and her daughter move through a challenging situation. This episode is my latest blog talking about something I observed and remembered during two talks I gave last week to parents. Curious about what the secret is? Tune in to find out! And please join my Facebook group where we talk about this secret and more! https://www.facebook.com/groups/powerfulparentingfortodayskids/ And happy Thanksgiving to all of my American friends! In this episode, I answer a listener question about how to get our kids to help out around the house without a lot of drama, threats, yelling and punishment. I talk about how to approach the subject with younger children as well as older. Join me! I was inspired to record this episode based on some feedback that many of you have been giving to me regarding having trouble not reacting to your kids IN THE MOMENT. Join me as I share a very powerful way to start to stop reacting. My son and daughter had an interaction this morning that - well - I didn't like. Here I share my thoughts on what happened to give me the clarity I needed to work through it with them. I was inspired to share some thoughts from my friend Renee Jain, who spoke at Dr. Shefali's Evolve conference a few weeks ago. If you'd like more info about the work Renee does with anxious kiddos, you can check out here work here - https://gozen.com/. And in this episode, I refer to my free download to help you with your anxious child, which you can pick up here - https://app.convertkit.com/landing_pages/407040?v=7. If there's one thing I wish I would have understood when my kids were toddlers, it's how to help them deal with their BIG emotions. Listen in if you have toddlers, and if you have older kids - don't fret - it's never too late! Ep 150 Can we talk to young girls about puberty in a way that makes them comfortable? In this episode, I share some thoughts from Dr. Shefali's 4th annual Evolve summit. I also offer a few minutes of breathing to help you relax. Join me! In this episode, I continue with the theme of LOVE this week. Join me! In this episode, I read my latest blog talking about why love is just not enough. Join me! In this episode, I share some thoughts from Dr. Shefali's recent Evolve Summit. Here, I talk about why love is NOT enough. In this episode, I talk about the concept of not eliminating stress right away but rather, finding out why it is there in the first place, and what you need to do about it. Join me, won't you? Ep 143 Should I panic that my toddler has become a picky eater? In this episode, I read my latest blog talking about why it's important to invest in ourselves. This is a message that in my opinion, moms cannot hear often enough, as we tend to put ourselves on the back burner in service of our loved ones. If you find value in this podcast, I would deeply appreciate if you would share it with others. Ep 141 The Power of the Platform Technique in the first use! In this episode, I share a story a mom wrote to me about sharing how powerful my platform technique worked the very first time she tried it! She was able to stay calm and neutral and not get reactive, all while still helping her sons navigate a disagreement/battle they were having. Join me to hear what I told this mom and join me in my Facebook group! https://www.facebook.com/groups/powerfulparentingfortodayskids/ And if you don't know what the Platform Technique is, tune in to episode 19 of the show! In this episode, I wax philosophical about life and all of it's intricate, intriguing paradoxes. Join me, as I sort through it all. And please consider joining my Facebook group, where we support each other in parenting https://www.facebook.com/groups/powerfulparentingfortodayskids/. In this episode, I share a Body Scan Meditation by Dr. Mark Berton and you can find this meditation at https://www.mindful.org/mindfulness-meditation-guided-practices/. Ep 133 Don't hold too tight to your agenda! Ep 132 What legacy do you want to leave? Ep 131 Plant seeds, but don't squash them as they try to sprout! In this episode, I share a story of a mom and her realization of how she was stifling the very thing she was trying to accomplish. Hopefully, this will offer you some valuable insights into your own family. Ep 130 Getting called out by my own son! Ep 129 Mindfulness on Mondays (MOM) You upgrade your iOS, what about your mind? Ep 127 Give thanks for those people who inspire you! Ep 126 Meal time battles? Get them involved! Ep 125 Time - Do you have enough or not? YOU decide! Ep 124 Mindfulness on Monday (MOM) We are unkind to others when...? Ep 123 What other things can you do while you brush your teeth? Ep 121 How a small drawer can be a huge win! Ep 120 Should we take away our kid's activity when they mess up? Ep 119 Mindfulness on Monday (MOM) Earthing? Ep 116 Friend or Enforcer? Ep 114 Mindfulness on Monday (MOM) You are doing the best you can! Ep 113 What happens when we express gratitude to our children? Ep 112 Do you need a gratitude reminder? Ep 110 Have you built your tribe? Ep 108 A back-to-school check-in on homework, mindset, etc. Ep 104 Mindfulness on Monday (MOM) An Anxiety Reducing Song? Ep 103 What does Back-To-School mean for parents? Ep 102 Does your bad mood REALLY have anything to do with the outside world? Ep 101 Why Sticker Charts DON'T work! Ep 100 Celebrating 100 episodes with an intro and contest! To celebrate episode 100, I thought it would be a good idea to tell my listeners a little bit about myself for those who don't already know. Listen all the way through this episode to find out information on how you can enter my 100th episode celebration giveaway! Visit http://erin-taylor.com/podcasts/ to enter the giveaway! And please email me at erin@erin-taylor.com with any questions or comments. Thank you for listening and subscribing! Do you long for something that just isn't happening? You may be missing one critical piece. In this episode, I share with you what that is, and you may be surprised to know that it's not actually that complicated! And if you have not yet joined my FREE facebook group, I invite you to do so here, where you can ask your most pressing parenting questions - www.facebook.com/groups/powerfulparentingfortodayskids/. In this episode, I talk about a recent trip to a ropes/zip-lining course that I took my kids to (and did myself). It was so powerful to watch my son overcome his fears before my eyes and I also share the positive effect this trip had on me! And if you have not yet joined my FREE facebook group, I invite you to do so here, where you can ask your most pressing parenting questions - www.facebook.com/groups/powerfulparentingfortodayskids/. In this episode, I read my blog from last week. I was inspired to write this after I took my 13-year-old daughter to see it last week. And if you have not yet joined my FREE facebook group, I invite you to do so here, where you can ask your most pressing parenting questions - www.facebook.com/groups/powerfulparentingfortodayskids/. In this episode, I share a story a college professor told me last week. It made me stop and wonder what in the world we as parents are doing? Are we setting our children up for success? And if you have not yet joined my FREE facebook group, I invite you to do so here, where you can ask your most pressing parenting questions - www.facebook.com/groups/powerfulparentingfortodayskids/. In this episode, I talk about how we can help to set our children up for success this school year, as well as the problem with the way our education system is structured. This is a good thing to think about to help us to keep it all in perspective. And if you have not yet joined my FREE facebook group, I invite you to do so here, where you can ask your most pressing parenting questions - www.facebook.com/groups/powerfulparentingfortodayskids/. Ep 94 Mindfulness on Monday (MOM) How are you showing up? In this latest episode, I encourage you to take a closer look at how you are showing up to your child in regards to this school year. How you show up can have a strong impact on your child! And if you have not yet joined my FREE facebook group, I invite you to do so here, where you can ask your most pressing parenting questions - www.facebook.com/groups/powerfulparentingfortodayskids/. Ep 93 Best Friends Forever! This episode is dedicated to my best friend Janet, who celebrates her birthday the day after this episode airs. Join me as I talk about the value of friends as well as your tribe. As I always say, it takes a village to raise a child. And if you have not yet joined my FREE facebook group, I invite you to do so here, where you can ask your most pressing parenting questions - www.facebook.com/groups/powerfulparentingfortodayskids/. Ep 92 14 ways to make this school year a success! In this episode, I read my latest blog for those of you who listen at the gym, on the way to work, while walking, etc. so you don't have to take the time to sit down and read. And if you have not yet joined my FREE facebook group, I invite you to do so here, where you can ask your most pressing parenting questions - www.facebook.com/groups/powerfulparentingfortodayskids/. Ep 91 A BIG question for you! I aim to continually bring value to all of my listeners with each and every episode. Today, I ask a simple favor of you - to send me an email with your vote on a topic I cover in today's episode. Email me at erin@erin-taylor.com and join my mailing list if you haven't already done so at www.erin-taylor.com. And if you have not yet joined my FREE facebook group, I invite you to do so here, where you can ask your most pressing parenting questions - www.facebook.com/groups/powerfulparentingfortodayskids/. I was inspired to record this episode as a shout-out to working moms everywhere one day when I was feeling particularly stretched thin as a mom and business owner. May you find some encouragement and inspiration in my words. And if you have not yet joined my FREE facebook group, I invite you to do so here, where you can ask your most pressing parenting questions - www.facebook.com/groups/powerfulparentingfortodayskids/. Ep 89 Mindfulness on Monday (MOM) Where am I???? See if you can tell where I am recording this episode from. Hint: It is NOT where you might expect! I can't say any more for fear of spoiling it for you :) And if you have not yet joined my FREE facebook group, I invite you to do so here, where you can ask your most pressing parenting questions - www.facebook.com/groups/powerfulparentingfortodayskids/. In today's episode, I read my blog from last week that was inspired by some challenges that P!nk had on her Australian tour trying to juggle being a mom and a performer. And if you have not yet joined my FREE facebook group, I invite you to do so here, where you can ask your most pressing parenting questions - www.facebook.com/groups/powerfulparentingfortodayskids/. Ep 87 Help! My 3 year old won't listen! In this episode, I recall a conversation I had with a mom of a toddler boy, who has recently "found" his voice and as a result, does not want to listen to her, which is causing her a lot of stress and frustration. If this sounds familiar, I hope you find some insight in this episode! And if you have not yet joined my FREE facebook group, I invite you to do so here, where you can ask your most pressing parenting questions - www.facebook.com/groups/powerfulparentingfortodayskids/. Ep 86 Help! I feel like my daughter is drifting away! In this episode, I answer a listener question who is stressed because her daughter is becoming a tween and feels like she is drifting away from her. Does this sound familiar? If so, I hope this episode gives you some peace and insights! And if you have not yet joined my FREE facebook group, I invite you to do so here, where you can ask your most pressing parenting questions - www.facebook.com/groups/powerfulparentingfortodayskids/. Ep 85 Help! All I do is yell at my kids! In this episode, I answer a listeners question about how to stop yelling at her kids. If this resonates with you, I hope you find some ideas in this episode! And if you have not yet joined my FREE facebook group, I invite you to do so here, where you can ask your most pressing parenting questions - www.facebook.com/groups/powerfulparentingfortodayskids/. In this episode, I wanted to check in with you to see how things are going with you and mindfulness now that summer is well underway. And if you have not yet joined my FREE facebook group, I invite you to do so here, where you can ask your most pressing parenting questions - www.facebook.com/groups/powerfulparentingfortodayskids/. In this episode, I update you on the resolution of the consequence that my son was dealing with as a result of a poor decision he made at his birthday party. In this episode, I talk about how we moved through the situation, ultimately seeing it through to its logical conclusion. I hope this sheds some light on this subject for you! And if you have not yet joined my FREE facebook group, I invite you to do so here, where you can ask your most pressing parenting questions - www.facebook.com/groups/powerfulparentingfortodayskids/. In this episode I read my latest blog about gratitude and how powerful it can be as a tool to help us out of a challenging situation. And if you have not yet joined my FREE facebook group, I invite you to do so here, where you can ask your most pressing parenting questions - www.facebook.com/groups/powerfulparentingfortodayskids/. In this episode, I talk about an intention I set in the beginning of this summer and how it has all unfolded almost effortlessly. When we are aligned with our intentions, amazing things can happen! And if you have not yet joined my FREE facebook group, I invite you to do so here, where you can ask your most pressing parenting questions - www.facebook.com/groups/powerfulparentingfortodayskids/. Recently, we have had to make some new decisions regarding our oldest son. In this episode, I talk about how helpful it has been to work together with my husband to navigate this new territory. And if you have not yet joined my FREE facebook group, I invite you to do so here, where you can ask your most pressing parenting questions - www.facebook.com/groups/powerfulparentingfortodayskids/. In this episode, I talk about how important it is to be alone, whether we are introverted or extraverted. This is the way we get to know ourselves and understand ourselves better and it vitally important. Join me as I talk about this topic! And if you have not yet joined my FREE facebook group, I invite you to do so here, where you can ask your most pressing parenting questions - www.facebook.com/groups/powerfulparentingfortodayskids/. Ep 78 Teens grow up before our eyes! In this episode, I update you on our son's first two weeks of driving and share how we allowed him to fly home by himself. It is astonishing to me how quickly he is growing up now that he has turned 16. And if you have not yet joined my FREE facebook group, I invite you to do so here, where you can ask your most pressing parenting questions - www.facebook.com/groups/powerfulparentingfortodayskids/. In this episode, I read my blog from last week talking about how to get back on track after vacation. Here is the link to the free download I mentioned in this episode - https://app.convertkit.com/landing_pages/406855?v=7. And if you have not yet joined my FREE facebook group, I invite you to do so here, where you can ask your most pressing parenting questions - www.facebook.com/groups/powerfulparentingfortodayskids/. In this episode, I talk about my month of very heavy travel and what that has meant for my self-care routine. Also, how we can get back on track when we return home. And if you have not yet joined my FREE facebook group, I invite you to do so here, where you can ask your most pressing parenting questions - www.facebook.com/groups/powerfulparentingfortodayskids/. When we were on vacation last week, my son told me that I had been playing with them a lot on vacation, but not as much when we are at home. I was surprised, as I felt I had been doing a good job at home. But it can be challenging as a mom who works from home full time. Join me as I talk about how I navigated that, and what I am doing back home. And if you have not yet joined my FREE facebook group, I invite you to do so here, where you can ask your most pressing parenting questions - www.facebook.com/groups/powerfulparentingfortodayskids/. As a mom it can be so easy to push yourself so far down on your own list you forget you are even there! But that is detrimental to everyone. In today's episode, I talk about why self-care is so important and what YOU can do about it! And if you have not yet joined my FREE facebook group, I invite you to do so here, where you can ask your most pressing parenting questions - www.facebook.com/groups/powerfulparentingfortodayskids/. Every so often, I have to talk about gratitude. It is literally the antidote to so many things we struggle with in life. It is darn hard to be grateful and depressed, or grateful and angry. It is the balm for our hurting souls. Join me as I explore gratitude and what it can mean for us. And if you have not yet joined my FREE facebook group, I invite you to do so here, where you can ask your most pressing parenting questions - www.facebook.com/groups/powerfulparentingfortodayskids/. Ep 72 Can kids learn life lessons at the beach? You better believe they can! And even better, they can learn life lessons playing sports at the beach! Join me as I share some of the life lessons my son picked up this week playing in the Junior National Beach Volleyball tournament. This is my blog from last week, so if you prefer to read rather than listen, you can do so here http://erin-taylor.com/conscious-parenting/can-kids-learn-life-lessons-at-the-beach/. And if you have not yet joined my FREE facebook group, I invite you to do so here, where you can ask your most pressing parenting questions - www.facebook.com/groups/powerfulparentingfortodayskids/. When you are an active family, it can be really easy for Mom and Dad to drift apart. But that helps no one. In this episode, I talk about how to avoid being ships passing in the night. And if you have not yet joined my FREE facebook group, I invite you to do so here, where you can ask your most pressing parenting questions - www.facebook.com/groups/powerfulparentingfortodayskids/. Ep 70 New moms - give yourself a break! I was talking with a mom recently who has a 2, 4 and 6 year old. She was feeling harried and stressed and it inspired me to talk to her and all moms of young ones in this episode. And if you have not yet joined my FREE facebook group, I invite you to do so here, where you can ask your most pressing parenting questions - www.facebook.com/groups/powerfulparentingfortodayskids/. The benefits of mindfulness have never been as evident as they are now, especially after hearing how the coach of the boy soccer team who was trapped in the Thai cave helped the boys to stay calm by meditating daily. Tune in as a take you through a very simple mindfulness practice you can use anywhere! And if you have not yet joined my FREE facebook group, I invite you to do so here, where you can ask your most pressing parenting questions - www.facebook.com/groups/powerfulparentingfortodayskids/. Our kids can trigger us so easily sometimes. That is what happens in intimate relationships where we know each other so well; it's human nature. But what can we do about it? There is a beautiful little gift called the Pause and in this episode, I talk about how it can help you so much in your parenting. And if you have not yet joined my FREE facebook group, I invite you to do so here, where you can ask your most pressing parenting questions - www.facebook.com/groups/powerfulparentingfortodayskids/. In this episode, I read my latest blog for those of you who like to listen on the go rather than sit down to read. And if you have not yet joined my FREE facebook group, I invite you to do so here, where you can ask your most pressing parenting questions - www.facebook.com/groups/powerfulparentingfortodayskids/. Do you ever tell your child they have five more minutes to play on their video game and come back five minutes later only to find that they have not gotten off the game? In this episode I break down why using strict time limits for screen time, particularly video games, may not be the best option. And if you have not yet joined my FREE facebook group, I invite you to do so here, where you can ask your most pressing parenting questions - www.facebook.com/groups/powerfulparentingfortodayskids/. And if you would like my FREE guide, 50 Ways to Make Screen Time Manageable in Your Home, visit here - https://app.convertkit.com/landing_pages/415915?v=7. It can be so tough sometimes to know how much to let go of our growing teens. They are at a stage in life where it is normal to breakaway, but yet they are also interested in experimenting with new (sometimes not healthy) things. Join me as I explore how to walk that fine line. And if you have not yet joined my FREE facebook group, I invite you to do so here, where you can ask your most pressing parenting questions - www.facebook.com/groups/powerfulparentingfortodayskids/. Do you find it hard to fit meditation into your life daily? It can be hard to find a few minutes to sit quietly (and alone) to meditate. That's why I love the Platform Technique so much and wanted to share it here once again. And if you have not yet joined my FREE facebook group, I invite you to do so here, where you can ask your most pressing parenting questions - www.facebook.com/groups/powerfulparentingfortodayskids/. In this episode, I share my thoughts on working from home this summer and trying to fit it all in. But I also share my deepest respect to full-time working parents (like my own parents were) as well as full-time-stay-at-home parents. We all deserve respect and support because it all takes work! And if you have not yet joined my FREE facebook group, I invite you to do so here, where you can ask your most pressing parenting questions - www.facebook.com/groups/powerfulparentingfortodayskids/. In this episode, I read my latest blog from last week, inspired by the view outside my hotel room window in Phoenix, AZ last week. And if you have not yet joined my FREE facebook group, I invite you to do so here, where you can ask your most pressing parenting questions - www.facebook.com/groups/powerfulparentingfortodayskids/. In this episode, I share my thoughts on helping our children to become the best drivers they can be when they first learn. My son is spending this week with his driving lessons before he gets his permit, and I thought it would be a great topic to share! And if you have not yet joined my FREE facebook group, I invite you to do so here, where you can ask your most pressing parenting questions - www.facebook.com/groups/powerfulparentingfortodayskids/. Ep 60 It's all about perspective - with a very special guest! I have a very special guest with me in today's episode - my daughter! She showed me a very cool illustration she saw on a tv show and I asked her if she would come on to the podcast to talk about it! We hope you enjoy today's episode! And if you have not yet joined my FREE facebook group, I invite you to do so here, where you can ask your most pressing parenting questions - www.facebook.com/groups/powerfulparentingfortodayskids/. In this episode, I review another one of my favorite apps, Calm. They also have a website, so you can access it on your computer as well as your phone, and you can check them out here - https://www.calm.com/. And if you have not yet joined my FREE facebook group, I invite you to do so here, where you can ask your most pressing parenting questions - www.facebook.com/groups/powerfulparentingfortodayskids/. In this episode (recorded on my son's 16th birthday) I look back over the past 16 years and the lessons he has taught me as one of my greatest teachers. I hope that you find some useful nuggets here in this episode that you can use in your home! And if you have not yet joined my FREE facebook group, I invite you to do so here, where you can ask your most pressing parenting questions - www.facebook.com/groups/powerfulparentingfortodayskids/. In this episode, I read my latest blog helping parents to make this summer a success with their children. And if you have not yet joined my FREE facebook group, I invite you to do so here, where you can ask your most pressing parenting questions - www.facebook.com/groups/powerfulparentingfortodayskids/. Happy July 4th! In this episode, I share a powerful speech that Imagine Dragons lead singer Dan Reynolds made at a recent show we went to. He shares his own struggle with depression and tells the audience that there is nothing weak about seeking help and in fact, it is incredibly strong. We need more Dan's in this world! And if you have not yet joined my FREE facebook group, I invite you to do so here, where you can ask your most pressing parenting questions - www.facebook.com/groups/powerfulparentingfortodayskids/. This is one of my favorite episodes so far, as I talk about a woman who reached out for help to one of my colleagues. I believe many people can relate to her struggle and I wanted to share it with you. I also offer two vastly different potential outcomes to her situation, so that you can see this powerful way to parent in action! And if you have not yet joined my FREE facebook group, I invite you to do so here, where you can ask your most pressing parenting questions - www.facebook.com/groups/powerfulparentingfortodayskids/. In this episode, I review one of my favorite meditation experiences - something that Oprah and Deepak offer several times a year for FREE. If you would like to purchase past experiences, you can do so here - https://chopracentermeditation.com/. The funny thing is literally right after I recorded this episode, I opened my email to find an invitation to their next 21 day Meditation experience which begins July 23. This one is called the Energy of Attraction. You can register for that on the site as well! And if you have not yet joined my FREE facebook group, I invite you to do so here, where you can ask your most pressing parenting questions - www.facebook.com/groups/powerfulparentingfortodayskids/. Ep 53 - Rise Up! In this episode, I talk about the recent events surrounding immigrant children/families and what it has to do with our democracy in action. I offer a different viewpoint on this subject than you may have heard yet so tune in! And if you have not yet joined my FREE facebook group, I invite you to do so here, where you can ask your most pressing parenting questions - www.facebook.com/groups/powerfulparentingfortodayskids/. In this episode, I read my latest blog, talking about technology and our kids. If you have not yet and would like to listen to our FREE summit: The Screen Machine; Navigating Technology in our Families, you can do so here - http://www.navigatingtechnologyinourfamilies.com/. Also, if you would like to download the FREE guide that I mention in this episode, you can do that here - https://app.convertkit.com/landing_pages/415915?v=7. And if you have not yet joined my FREE facebook group, I invite you to do so here, where you can ask your most pressing parenting questions - https://www.facebook.com/groups/powerfulparentingfortodayskids/. In this episode, I read to you one of my favorite poems and one that resonates so much with me as a parent. After, I talk about its meaning. I hope you enjoy this poem as much as I do! And if you have not yet done so, join my FREE facebook group where we talk all things parenting - www.facebook.com/groups/powerfulparentingfortodayskids/. In this episode, I talk about a Facebook Live I did in my FREE facebook group where I brought on a group member and we talked through a challenge she was having with helping her daughter navigate the playground and social dynamics in 4th grade. I share some of what we talked about in this episode and I hope that you will join my Facebook group so that you can listen or watch it in its entirety. If you have not yet done so, join my FREE facebook group where we talk all things parenting - www.facebook.com/groups/powerfulparentingfortodayskids/. In this episode, I review another one of my favorite meditation apps, Insight Timer. You can check out their app here - https://insighttimer.com/. And if you have not yet done so, join my FREE facebook group where we talk all things parenting - www.facebook.com/groups/powerfulparentingfortodayskids/. In this episode, I share a story about how knowledge can empower you or your child when anxiety strikes. I hope it helps you! Check out my FREE resources for helping you with your anxious kiddos here - http://erin-taylor.com/free-resources/. And if you have not yet done so, join my FREE facebook group where we talk all things parenting - https://www.facebook.com/groups/powerfulparentingfortodayskids/. In this episode, I read my blog from last week for those of you who are on the go and prefer to listen rather than read. This is part 3 of my series on discipline helping you to bring it all together. You can download my FREE worksheet for part 3 here - http://erin-taylor.com/free-resources/. And if you have not yet done so, join my FREE facebook group where we talk all things parenting - https://www.facebook.com/groups/powerfulparentingfortodayskids/. Ep 46 Summer is coming! Are you ready? In this episode, I share some ideas and insights about how you can make this a successful summer with your kiddos! And if you have not yet done so, join my FREE facebook group where we talk all things parenting - https://www.facebook.com/groups/powerfulparentingfortodayskids/. In this episode, I share a tip that helps me when a situation is making me feel overwhelmed. I hope it helps you, too! If you haven't yet checked it out, please pick up my free worksheet on a technique called Box Breathing, which could also really help you when you are feeling overwhelmed - http://erin-taylor.com/free-resources/. And if you have not yet done so, join my FREE facebook group where we talk all things parenting - https://www.facebook.com/groups/powerfulparentingfortodayskids/. Ep 44 Mindfulness on Monday (MOM) A review of the Headspace App! In this episode, I review one of my favorite meditation apps - Headspace! Andy Puddicombe and the folks at Headspace just celebrated having ONE MILLION subscribers so clearly I'm not the only one who loves it! Check out their app here - https://www.headspace.com/. I also have a FREE worksheet on Box Breathing which you can pick up here to bring even more mindfulness into your life - http://erin-taylor.com/free-resources/. And if you have not yet done so, join my FREE facebook group where we talk all things parenting - https://www.facebook.com/groups/powerfulparentingfortodayskids/. In this episode, I take a tip and dig deeper, helping you to see how pausing can benefit you and your child TREMENDOUSLY when you are trying to transform the way you use discipline in your home. I hope it helps you! I have a few FREE resources on discipline that you can pick up here - http://erin-taylor.com/free-resources/. In addition, I have a series of videos on discipline which you can find here - www.youtube.com/channel/UCoFMYuRYxQS6LR10bqneIOA. And if you have not yet done so, join my FREE facebook group where we talk all things parenting - https://www.facebook.com/groups/powerfulparentingfortodayskids/. Ep 42 How do YOU fit in to the art of discipline? In today's episode, I read my latest blog, part 2 in my discipline series, for those of you who prefer to listen on the go rather than sit down and read at the computer or on your phone. You can download part 2 of my FREE guide here - http://erin-taylor.com/discipline/how-do-you-fit-art-of-discipline/. In addition, I have a series of videos on discipline which you can find here - www.youtube.com/channel/UCoFMYuRYxQS6LR10bqneIOA. And if you have not yet done so, join my FREE facebook group where we talk all things parenting - https://www.facebook.com/groups/powerfulparentingfortodayskids/. I recorded this episode to share some tips that I gave to my daughter when she was prepping for and feeling nervous about her upcoming oral presentation for her class. I hope this helps those of you out there who have kids who get nervous about this same thing! I have created a few resources for parents who have anxious kiddos which you can pick up here - http://erin-taylor.com/free-resources/. And if you have not yet done so, join my FREE facebook group where we talk all things parenting - https://www.facebook.com/groups/powerfulparentingfortodayskids/. Ep 40 You only get one life - STOP putting it off! I recorded this episode after thinking about how many moms I've met who put off the things that feed their souls while they are busy raising their children. I say "hogwash" to that - our kids will appreciate a happy, content, well-rounded mom even more than a mom who puts their own selves on the back burner to raise them. And if you have not yet done so, join my FREE facebook group where we talk all things parenting - https://www.facebook.com/groups/powerfulparentingfortodayskids/. I recorded this episode at the beach with my family. I explain why the beach is my happy and what negative ions have to do with it. Enjoy! And if you have not yet done so, join my FREE facebook group where we talk all things parenting - https://www.facebook.com/groups/powerfulparentingfortodayskids/. Ep 38 Teens are Terrific! I recorded this episode after an encounter I had with an adult who was lamenting teenagers. I think teens really are terrific and I had to share that with you today so you can lighten the load of a teenager in your life. And if you have not yet done so, join my FREE facebook group where we talk all things parenting - https://www.facebook.com/groups/powerfulparentingfortodayskids/. Ep 37 Struggling with how to discipline your child? I'm trying something new in this episode. Here, I am going to read my latest blog on discipline. Some people like to consume content by reading, others by watching and still others by listening. So for those of you who want to listen on the go, enjoy! But I do have a great free discipline guide that I created to go along with this episode, which you can pick up here - http://erin-taylor.com/discipline/struggling-how-to-discipline-your-child/. In addition, I have a series of videos on discipline which you can find here - https://www.youtube.com/channel/UCoFMYuRYxQS6LR10bqneIOA. And if you have not yet done so, join my FREE facebook group where we talk all things parenting - https://www.facebook.com/groups/powerfulparentingfortodayskids/. In this episode, I share some fun interactions we have had recently outside and talk about the benefits to being out in nature. And if you have not yet done so, join my FREE facebook group where we talk all things parenting - https://www.facebook.com/groups/powerfulparentingfortodayskids/. Ep 35 - You can do it! I felt called in this episode to give you a bit of encouragement. We all are working so hard to achieve what is important to us. Sometimes it's a struggle and takes time and it can be easy to get discouraged. But I am here to tell you You Can Do It! And if you have not yet done so, join my FREE facebook group where we talk all things parenting - https://www.facebook.com/groups/powerfulparentingfortodayskids/. In this episode, I share with you an easy but powerful energy clearing technique that I learned from my yoga teacher. In case you need to see it to understand it, watch my youtube video on it here - https://youtu.be/6cwo9EFgQt0. And if you have not yet done so, join my FREE facebook group where we talk all things parenting - https://www.facebook.com/groups/powerfulparentingfortodayskids/. In this episode, I talk about committing to something and doing it even when we don't feel like it. This is necessary in parenting, and in life. And if you have not yet done so, join my FREE facebook group where we talk all things parenting - https://www.facebook.com/groups/powerfulparentingfortodayskids/. Ep 32 Help! I need kid-friendly games on the iPad! Or do I? In this episode, I answer a mom who wrote to me asking for help entertaining her daughter while she brushed her hair in the mornings. Listen in as I answer her and how my suggestion worked for her! And if you have not yet done so, join my FREE facebook group where we talk all things parenting - https://www.facebook.com/groups/powerfulparentingfortodayskids/. In this episode, I share my final pillar of health. This one's a biggie and if you haven't listened to the prior three parts, go check them out as well! You can check out my blog and FREE download on this topic here - http://erin-taylor.com/self-care/4-pillars-better-mom-better/ And if you have not yet done so, join my FREE facebook group where we talk all things parenting - https://www.facebook.com/groups/powerfulparentingfortodayskids/. In this episode, I share my 3rd pillar of health in the hopes that it gives you some ideas and inspiration! You can check out my blog and FREE download on this topic here - http://erin-taylor.com/self-care/4-pillars-better-mom-better/ And if you have not yet done so, join my FREE facebook group where we talk all things parenting - https://www.facebook.com/groups/powerfulparentingfortodayskids/. In this episode, I share one of my favorite mindfulness apps for smartphones. It is called Simply Being. In this episode, I share how it works and how it can benefit you! And if you have not yet done so, join my FREE facebook group where we talk all things parenting - https://www.facebook.com/groups/powerfulparentingfortodayskids/. I continue this 4 part series by sharing my second pillar of health. I hope this helps you! You can check out my blog and FREE download on this topic here - http://erin-taylor.com/self-care/4-pillars-better-mom-better/ And if you have not yet done so, join my FREE facebook group where we talk all things parenting - https://www.facebook.com/groups/powerfulparentingfortodayskids/. I was inspired to share with you the 4 pillars of health that I came up with several years ago. In this episode, I talk about part 1. I hope you get something useful out of it! You can check out my blog and FREE download on this topic here - http://erin-taylor.com/self-care/4-pillars-better-mom-better/ And if you have not yet done so, join my FREE facebook group where we talk all things parenting - https://www.facebook.com/groups/powerfulparentingfortodayskids/. This episode was inspired by a women's retreat called Rise Gathering that I spoke at this weekend. I hope you find some useful nuggets in here! And if you have not yet done so, join my FREE facebook group where we talk all things parenting - https://www.facebook.com/groups/powerfulparentingfortodayskids/. Ep 25 Triumphant Mom Moments - Mom Allows her Toddler to be a Scientist! In this first edition of this new segment, I share a powerful Triumphant Mom Moment when a mom realized that she needed to truly see what her son needed in that moment and allow him to become a scientist! And if you have not yet done so, join my FREE facebook group where we talk all things parenting - https://www.facebook.com/groups/powerfulparentingfortodayskids/. In this episode, I explain how you can be both the participant and the observer of your life. When we do this, we allow ourselves the space to respond instead of react. And if you have not yet done so, join my FREE facebook group where we talk all things parenting - https://www.facebook.com/groups/powerfulparentingfortodayskids/. Ep 23 The wonder of this world - do you appreciate it? On my way home this evening, I was awestruck by what I heard in my back yard and I grabbed my phone to record this episode to share it with you. When was the last time you were awestruck and what were you awestruck about? If you haven't recently, I challenge you in this episode! And if you have not yet done so, join my FREE facebook group where we talk all things parenting - https://www.facebook.com/groups/powerfulparentingfortodayskids/. Ep 22 Help! My son doesn't want to go to Tball practice! In this episode, I relate a conversation I had with a mom who was trying to move consciously through a challenge with her little boy. This mom did a fantastic job of supporting her son and I wanted to share her triumph in the hopes that it inspires some of you out there. And if you have not yet done so, join my FREE facebook group where we talk all things parenting - https://www.facebook.com/groups/powerfulparentingfortodayskids/. Ep 21 Help! My child doesn't want to practice the violin! In this episode, I talk about a question I got from a mom whose daughter was resisting practicing the violin. In my discussion with this mom, something very telling came out. I hope I give you some good food for thought in this episode. And if you have not yet done so, join my FREE facebook group where we talk all things parenting - https://www.facebook.com/groups/powerfulparentingfortodayskids/. In this episode, I share a story about how a word helped me to navigate a frustrating situation with my son in a very smooth, productive manner. I hope it helps you as much as it helped me! And if you have not yet done so, join my FREE facebook group where we talk all things parenting - https://www.facebook.com/groups/powerfulparentingfortodayskids/. In this episode I share a powerful technique that will help you learn to "mind your mind." I teach this to all of the parents I work with and I hope it is helpful for you, too! And if you have not yet done so, join my FREE facebook group where we talk all things parenting - https://www.facebook.com/groups/powerfulparentingfortodayskids/. Ep 18 Happy Mother’s Day! I wanted to offer thoughts on this Mother’s Day to each of you listening. Whether you are a mom, have a mom or anything else. I hope my words here bring you comfort, joy and gratitude today. And if you have not yet done so, join my FREE facebook group where we talk all things parenting - https://www.facebook.com/groups/powerfulparentingfortodayskids/. Ep 17 What does an iceberg have to do with my child? In this episode, I share a very powerful tool - one of my favorite parenting tools of all time. I teach this to my coaching clients, I use it in all of my workshops and anywhere else I can squeeze it in. I also wrote a blog about the iceberg, which you can read and grab your own FREE copy of here - http://erin-taylor.com/awareness/use-iceberg-compass-parenting/ And if you have not yet done so, join my FREE facebook group where we talk all things parenting - https://www.facebook.com/groups/powerfulparentingfortodayskids/. Ep 16 Teachers - give that challenging child a wink! This episode was inspired by a teacher who called in to Gary Vaynerchuk's podcast and asked how teachers can make an impact in the life of a student in today's world. I loved his answer so much that I wanted to share it with you here! And if you have not yet done so, join my FREE facebook group where we talk all things parenting - https://www.facebook.com/groups/powerfulparentingfortodayskids/. Ep 15 Help! Another adult is correcting my child in a way I don't like! In this episode, I answer a mom's question about how to deal with another adult who is correcting her child in a way she is not comfortable with. I hope this episode helps you if you have found yourself in this situation. Ep 14 Help! My 14 year old is drifting away from me! In this episode, I help a mom to feel less stressed and anxious about her son pulling away from her a little bit. This is developmentally normal at this age, and in this episode I share some ideas of ways to connect in this new chapter of his boyhood. And if you have not yet done so, join my FREE facebook group where we talk all things parenting - https://www.facebook.com/groups/powerfulparentingfortodayskids/. In this episode, I share a bedtime practice I began with my daughter when her worries started weighing heavily on her when she was 8 years old. This worked well for her and I hope it does for your child too! I'd love to know what you think - drop me an email at erin@erin-taylor.com. Here are a few blogs and FREE downloads I wrote around anxiety: http://erin-taylor.com/anxiety/8-tips-manage-childs-anxiety/ http://erin-taylor.com/anxiety/even-ways-help-anxious-child/ http://erin-taylor.com/anxiety/4-steps-to-help-your-sensitive-child/ I also discussed anxiety back in episode 2 which you can listen to here - https://anchor.fm/powerful-parenting-for-todays-kids/episodes/Ep-2-MORE-Ways-to-Help-Your-Child-Manage-Anxiety-e1blm8 And if you have not yet done so, join my FREE facebook group where we talk all things parenting - https://www.facebook.com/groups/powerfulparentingfortodayskids/. Ep 12 Help! I'm being pulled in a million directions! This episode was inspired by a conversation I had with a dear friend and fellow mom about "The Myth of the Supermom." Is there anyone who successfully fits this role? Here, I talk about the conclusions I came to about the most fulfilling way to live life, as well as some of the tips and tricks to help you achieve just that. And if you have not yet done so, join my FREE facebook group where we talk all things parenting - https://www.facebook.com/groups/powerfulparentingfortodayskids/. A conversation I had with a mom yesterday inspired today's episode, where I talk about how important it is to reach out to our village when we are struggling. We are wired for connection and connect, we must! And if you have not yet done so, join my FREE facebook group where we talk all things parenting - https://www.facebook.com/groups/powerfulparentingfortodayskids/. Ep 10 Help! My child is overly sensitive! In this episode, I share some common traits of highly sensitive people, also called empaths, from the amazing Dr. Judith Orloff, who can be found at www.drjudithorloff.com. I also share a powerful tool for empaths to use to protect their highly sensitive natures when interacting with others. I also wrote a blog on this topic, along with a FREE quiz you can take to determine if your child is an empath. You can check it out here - http://erin-taylor.com/anxiety/4-steps-to-help-your-sensitive-child/ And if you have not yet done so, join my FREE facebook group where we talk all things parenting - https://www.facebook.com/groups/powerfulparentingfortodayskids/. Ep 9 Mindfulness on Monday (MOM) It Takes A Village! This episode was inspired by two moms I met at my son’s beach volleyball tournament. Shout out to you guys - you know who you are! It does take a village to raise a child, so make sure you create your tribe. You deserve it! And so does your child. And if you have not yet done so, join my FREE facebook group where we talk all things parenting - https://www.facebook.com/groups/powerfulparentingfortodayskids/. Ep 8 Help! How do I find time for me??? I recorded this episode on a walk in the woods behind my house, which is one way that I recharge my batteries. In this episode, I answer a mom's question about how she can find time for herself with two little ones. I also wrote a blog on the importance of self-care, along with a FREE download, which you can pick up here - http://erin-taylor.com/self-care/4-pillars-better-mom-better/ And if you have not yet done so, join my FREE facebook group where we talk all things parenting - https://www.facebook.com/groups/powerfulparentingfortodayskids/. Ep 7 Help! My child won't listen to me! In this episode, I answer another question emailed to me by a mom whose 6 year old son won't listen to her and she is very frustrated. I share one of my favorite concepts - the Iceberg. Take a listen and I'd love to hear what you think! And if you have not yet done so, join my FREE facebook group where we talk all things parenting - https://www.facebook.com/groups/powerfulparentingfortodayskids/. Ep 6 Help! My Spouse and I are NOT on the Same Parenting Page! In this episode I share a response I gave to a mom who emailed me frustrated that she and her husband are not on the same parenting page. I realized that there are many, many parents feeling frustrated about this and decided to share my answer with all of you. I hope it brings you some comfort and peace. And if you have not yet done so, join my FREE facebook group where we talk all things parenting - https://www.facebook.com/groups/powerfulparentingfortodayskids/. Ep 5 What Qualities are you Instilling in your Young Athlete? This episode was inspired by watching my son's volleyball match against a team that was not nearly as talented as his team. I watched the sportsmanship displayed by him and his teammates and wanted to talk about what qualities we should be instilling in our young athletes, as parents and as coaches. As a parent of a young athlete for the past 15 years as well as a soccer coach, I have seen the best and worst displays in youth sports. Here is the blog I referenced in this episode if you want to check it out - http://erin-taylor.com/communication/parents-young-athletes/. And here is the video I created to go along with it https://youtu.be/z82ycfUSWGU. And if you have not yet done so, join my FREE facebook group where we talk all things parenting - https://www.facebook.com/groups/powerfulparentingfortodayskids/. Join me for my new segment called MOM (Mindfulness on Monday). In today's episode, I share a powerful tool called Box Breathing. Take a few moments to listen in and add this to your parenting (and life!) toolbox! I recorded a video on my youtube channel to give you a few minutes of peaceful mindfulness. Check it out here! https://youtu.be/Oqy2KeTQOLg And I wrote a blog on this topic along with a FREE download, which you can get here - http://erin-taylor.com/self-care/tool-will-get-anything/ And if you have not yet done so, join my FREE facebook group where we talk all things parenting - https://www.facebook.com/groups/powerfulparentingfortodayskids/. Today I share the power of a gratitude practice and all the benefits you can experience from it. At the end, I offer you a challenge. Join me, won't you? And if you have not yet done so, join my FREE facebook group where we talk all things parenting - https://www.facebook.com/groups/powerfulparentingfortodayskids/. In this episode, I share some powerful tools to help younger and older children manage their anxiety. I also explain common symptoms of anxiety and what you as a parent can do when your child is anxious. Here are a few blogs and FREE downloads I wrote around anxiety: http://erin-taylor.com/anxiety/8-tips-manage-childs-anxiety/ http://erin-taylor.com/anxiety/even-ways-help-anxious-child/ http://erin-taylor.com/anxiety/4-steps-to-help-your-sensitive-child/ And if you have not yet done so, join my FREE facebook group where we talk all things parenting - https://www.facebook.com/groups/powerfulparentingfortodayskids/. In this first episode of Powerful Parenting for Today's Child, I talk about how you can navigate and avoid power struggles with your child. I use a fabulous example that one of my clients had with her daughter recently. It is my hope that you get something really valuable out of this first episode, and thank you for tuning in! I also wrote a blog on this topic, and created a FREE download you can get here - http://erin-taylor.com/relationships/the-1-way-to-overcome-power-struggle-with-your-child/. And if you have not yet done so, join my FREE facebook group where we talk all things parenting - https://www.facebook.com/groups/powerfulparentingfortodayskids/.